Our mission: By placing our team, clients, and talent first, every day we make a difference. Our goal is to help people move their careers forward and to help businesses solve their most complex challenges. Welcome to Advanced Resources! People are at the core of every company’s success. That’s what drives us. Let’s start with our talent. Our goal is help you take your career to new heights. We build relationships with top employers to create opportunities that help you grow and make an impact. We support you and we help you succeed. We provide benefits that help you thrive. We give you the experience and respect you want and deserve. We help our clients solve their business challenges so they can succeed. Some clients need talent. Some clients need specific workforce solutions. Some clients need end-to-end project management services. Advanced Resources has the experience and expertise to help you. Finally, we’re powered by an internal team of professionals who are highly engaged and motivated to make a positive impact on everyone who touches our business. That’s our mission. We’re here to make a difference. Our culture is rooted in our REAL values: Respect, Excellence, Accountability, and Leadership. 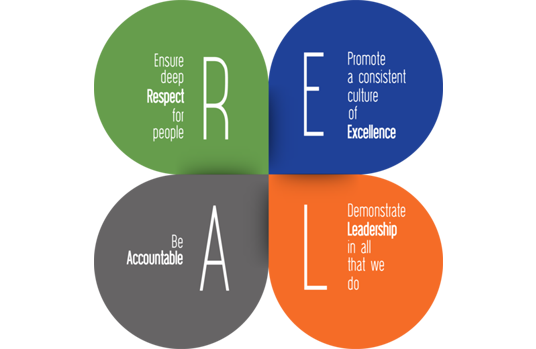 Our REAL values permeate every aspect of our businesses, from how we hire to how we manage performance. These values guide our behaviors, our decisions, and how we work together towards our shared vision: to be the most respected firm in our industry. Our culture is the main reason we have exceptionally high employee engagement ratings, verified by our Gallup survey results. Our culture is strong, unique, and it’s REAL. Interested in joining our REAL culture and making a difference?